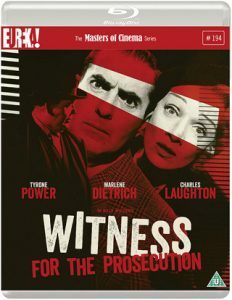 Witness for the Prosecution – Film Review. Billy Wilder's classic reissued. Billy Wilder and Agatha Christie – a partnership made in Heaven. Not that they ever worked together, but Wilder knew a good yarn when he saw one. Witness for the Prosecution started life as a short story in 1925, which Christie then adapted for the stage; in 1954, it was one of three of her plays running simultaneously in the West End. Three years later, Wilder and his writing partners Larry Marcus and Harry Kurnitz turned it into a big screen classic featuring sharp wit and tension in equal measure. Wilder also directed, and it’s a superb example of his skill behind the camera; why it isn’t regarded as highly as some of his other movies, including Some Like It Hot, Sunset Boulevard and The Apartment, is a mystery almost as baffling as one of Christie’s plots. 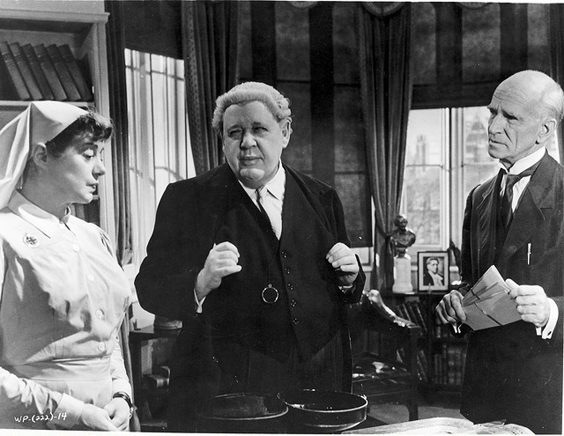 Christie is said to have approved of Wilder and co’s work here, and it’s easy to see why – the film is never less than stunning and features arguably the greatest screen performance of Charles Laughton’s distinguished career. The Scarborough-born actor plays Sir Wilfrid Robarts, a barrister urged to take it easy after a spell of ill health. However, when a colleague brings him the case of Leonard Vole, Robarts is instantly intrigued and can’t help getting involved. Vole is arrested for the murder of an ageing widow he had befriended; his protests fall on deaf ears, particularly after it’s revealed she left him her substantial fortune. To make matters worse, Vole’s enigmatic German wife seems less than thrilled with the idea of helping Robarts get him off the hook. What happens next is an extraordinary turn of events that few will foresee – Wilder himself declared that Christie was a master at structure. Laughton is extremely playful and impressive here, receiving excellent support from his real-life wife, Elsa Lanchester, as Robarts’ fussy nurse, Miss Plimsoll. Tyrone Power, in his final completed film, hits the only duff note, although that’s not altogether his fault – Vole is supposed to be English, but it’s never explained why he has a strong American accent. 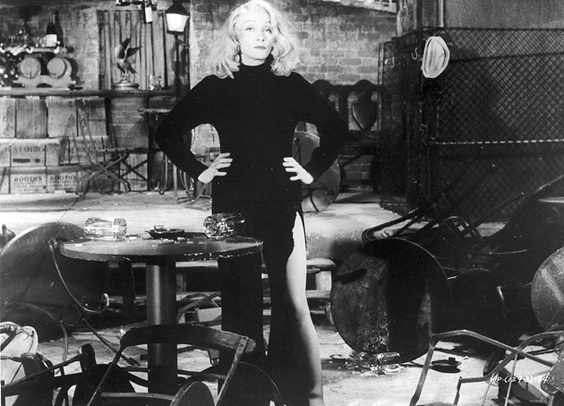 Vole’s wife is portrayed by Marlene Dietrich in perhaps her last great screen role; the camera loves her and despite the character’s often dubious motives, she manages to make us care, which is a feat in itself. The disc includes archive interviews with Wilder, as well as new footage featuring Laughton’s biographer, Simon Callow. This is a must for fans of both Wilder and Christie – and a massive improvement on the BBC’s dull 2016 adaptation.